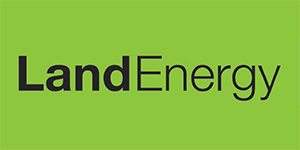 Founded in 2006, Land Energy was seeded by a group of entrepreneurs passionate about doing something to reduce pollution caused by the UK’s energy industry. The initial focus was on biomass energy sources and creating a viable wood pellet manufacturing base. We are now one of the largest wood pellet manufacturer’s in the UK. Land Energy’s goal is to make wood pellet energy a “mainstream” choice for commercial and domestic users, in exactly the same way that they currently consider conventional fossil fuels. To achieve this, wood pellets have to be able to compete commercially and operationally with oil, LPG and gas. We recognise that businesses and homes are under their own cost pressures and cannot be expected to pay more for renewable energy, which means that wood pellet energy has to be priced correctly and be supported by a robust supply chain. It also has to be operationally competitive, meaning that biomass energy systems have to be as flexible and as easy to use as their fossil fuel counterparts. The UK has come a long way in the past 10 years from near zero use of wood pellets to a premium pellet market of 500,000 tonnes per annum, which is likely to double by 2020. There’s a long way to go to meet the UK’s emissions targets and this continues to present a lot of opportunity for Land Energy to help businesses convert away from fossil fuels. Reducing your carbon footprint for your home and business!